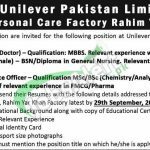 Unilever Pakistan Foods Limited Jobs 2017 in Rahim Yar Khan Latest. Here you will be having the current vacant posts from a well recognized Food Company named Unilever Pakistan Food Limited is seeking to hire the well disciplined, caliber and adroit applicants are required to apply for the following posts which are named as (Medical Officer (Doctor), Staff Nurse and Quality Assurance Officer) are the posts which needs to be filled by the applicants with overall qualification of MBBS, BS.c (N)/Diploma in General Nursing, MS.c/BS.c (Chemistry/Analytical Chemistry) with 1-3 years expertise are needed to apply for such posts. Attractive remuneration package will be paid to the applicants with beautiful environment. Both male and females are welcome to apply. So, all those applicants who meet the said criteria are welcome to apply and get employed in this well known company. So, for more jobs stay tuned with this job page. Now, I will let you know about it's further details below. Unilever Pakistan Foods Limited Company is the well known food company which is providing the best products of food and other products. 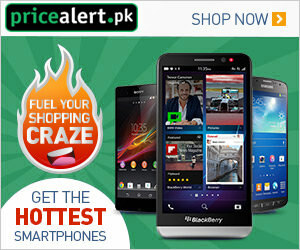 As, the company is known in whole of the Pakistan and its products are sold and transported every where. Being a Private company it offers different posts of different educational level. Applications along with attested copies of all relevant documents such as educational certificate, experience certificate, CNIC, Domicile and 2 Recent photographs should reach on the following address given below. Last date for submission of application is29th September 2017. Applicants should mention clearly the position applied for on the envelope. Interviews details can be seen from the advertisement image. Authority reserves the right to make and alter the recruitment process at any time. Address: HR Manager, Unilever Pakistan Rahim Yar Khan.